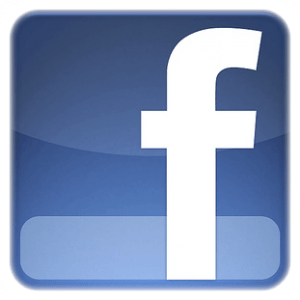 Capture Creatures — Part the Third! 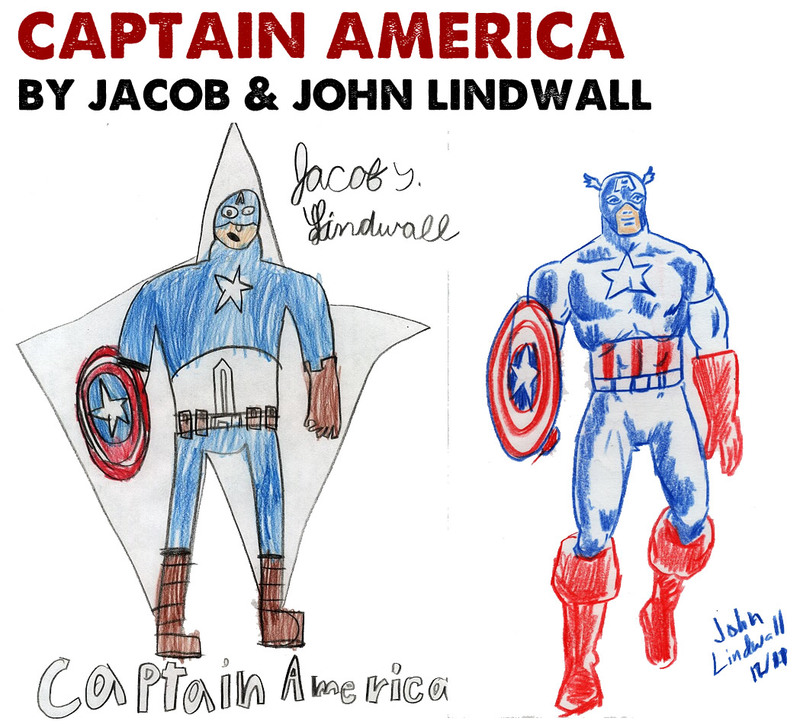 Captain America by Jacob & John Lindwall! The Lindwall boys are back! And, this time, they take a Nu Skool/Old School take on the Sentinel of Liberty. 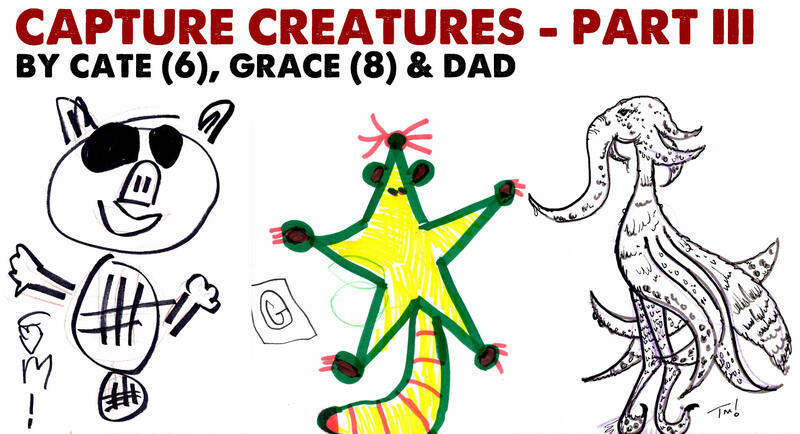 We had so much fun drawing Becky Dreistadt & Frank Gibson’s Capture Creatures … we drew more. 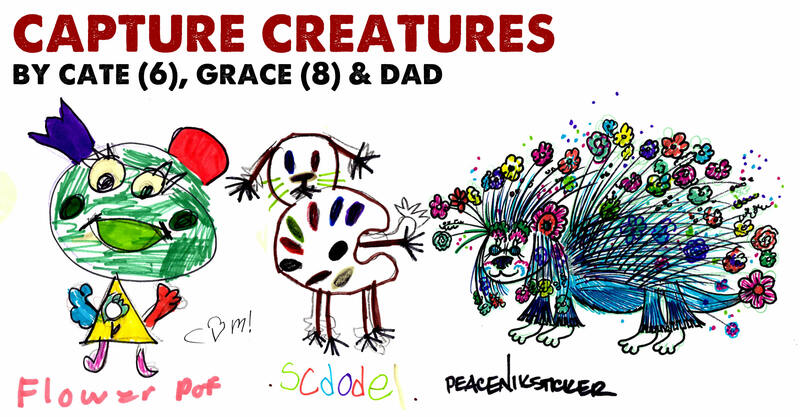 In fact, Grace has declared this “Capture Creature Week.” Cate drew “Pinky” a two-headed weiner dog who turns people into hot dogs. Grace drew “Violet Venom,” a flower spider. And, I drew “Slubblefly” … snail with a bubble shell and butterfly wings. And, Capture Creature fever is spreading, as Grace and Cate got their buddy, Jack Williams in on the act. 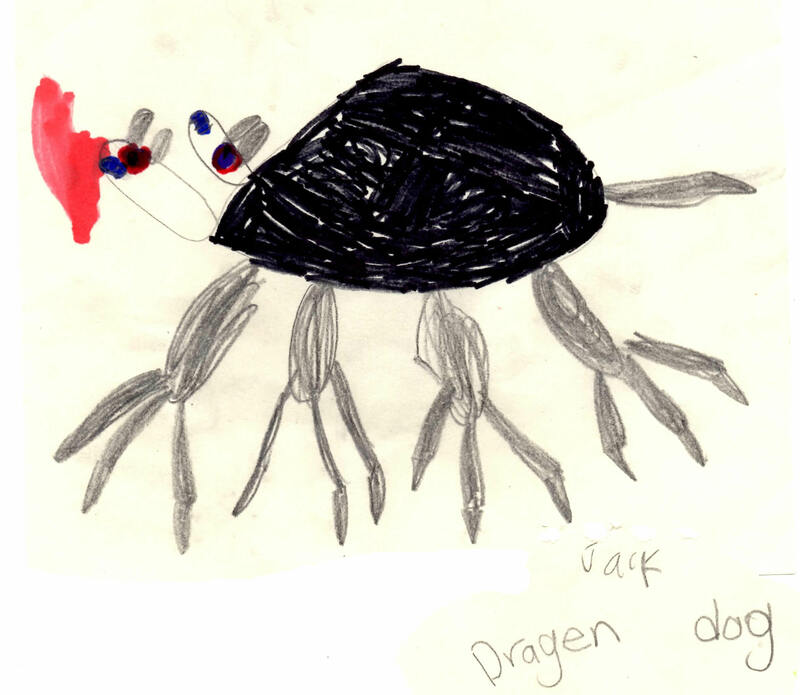 Jack drew “Dragon Dog.” And, let’s face it the legs are creepily awesome as is the blood red flame! Awesome, Jack! 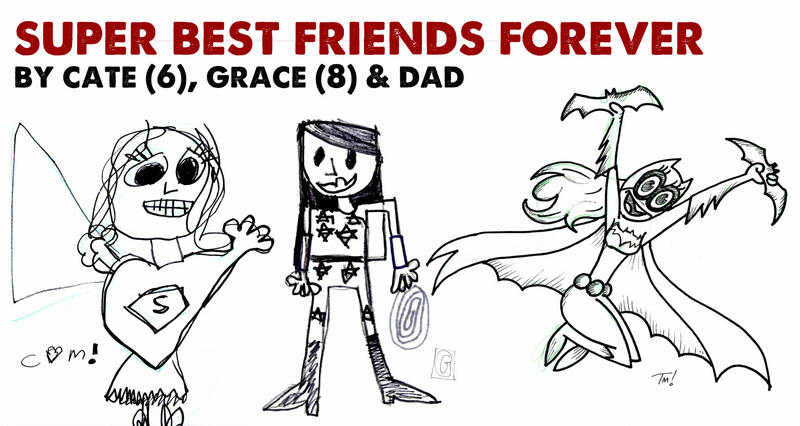 We were excited to see our buddy Stephanie Buscema‘s new venture — Saturday Morning Webtoons. 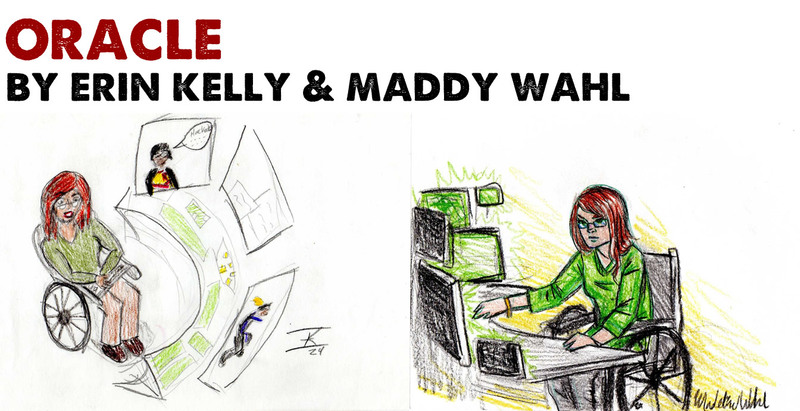 This is a super cool site that collects weekly updates of 7 webcomics by 9 fantastic creators. 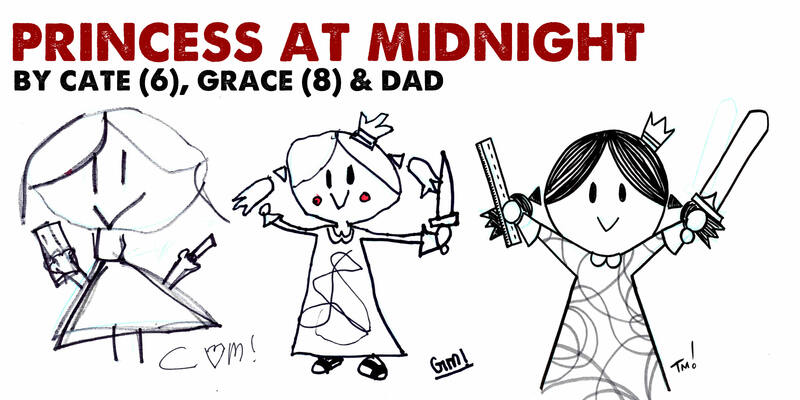 Looking at it, the girls were taken by Andi Watson’s “Princess at Midnight” and wanted to draw. P.S. Steph B. just did a cover for Adventure Time’s comic. Check it! 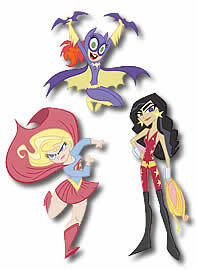 Becky Dreistadt of Tiny Kitten Teeth fame is a fave at 5 Minute Marvels … she’s inspired us here and here. So, when we read about her new Capture Creatures project with her partner Frank Gibson, she inspired us again. Cate drew Flower Pot, a bear who grows flowers with a laser. Grace drew Scdodel (“ska-doodle”), who brings colors to peoples’ lives. And, I went with Peacniksticker, the hippie porcupine. For more Becky & Frank brilliance, see Tiny Kitten Teeth, Deviant Art and Becky’s sketchblog, Sand Pail Tail.